A draw away at West Bromwich Albion, by no means a bad result, still left Alan Pardew’s Newcastle just six points clear of the drop-zone, having played a game more than 18th placed Wigan. Yoan Gouffran had given the visitors the perfect start, nodding home past Ben Foster on eight minutes from a Papiss Cissé cross. However, despite having most of the possession in the first period, the Magpies couldn’t build on their lead. After the break, Steve Clarke’s men were a much improved side. Romelu Lukaku hit the crossbar before, on 64 minutes, Billy Jones fired home past Rob Elliott to give the Baggies a share of the points. 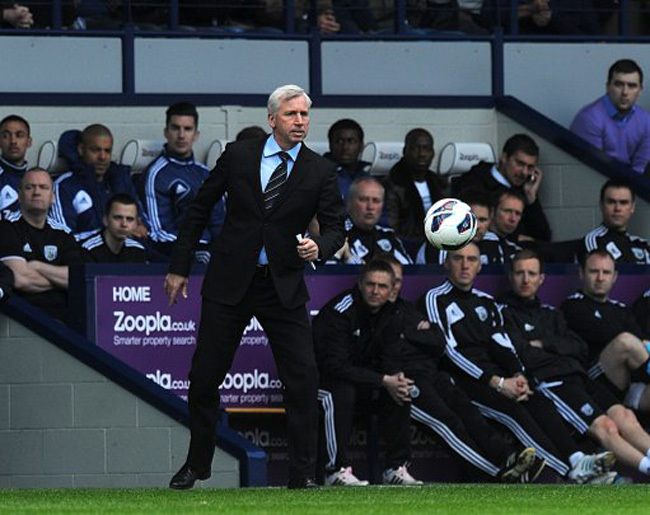 In netting that goal, Jones also registered West Brom’s first goal by and Englishman in 2012/13.